German Technical Cooperation Bangladesh (GTZ BD) provides technical expertise and assistance to several priority areas of Bangladesh, on behalf of the German Ministry of Economic Cooperation and Development (BMZ). While doing so, Effective Management of GTZ Dhaka has always been a primacy of GTZ Bangladesh, to achieve its ultimate goal of being more productive and effective. As an integral part of this Effective Management, Team Effectiveness setting of GTZ Dhaka is well integrated by design, given a German corporate culture by default. In this relation, the present study explores the factors contributing to the Team efficacy of GTZ Dhaka and focuses upon the existing built-in models facilitating Team Effectiveness of GTZ Dhaka that is the umbrella of all GTZ projects and services in Bangladesh. The core GTZ Dhaka Team, beset with all the small functional teams and the committees/groups concerned is dynamically driven by its Team Diversity, Teamwork, Team Building and Development zeal. The study also illumines these factors in support and for totality of the Team Effectiveness of GTZ Dhaka, wrapping up with the Team Cohesiveness and Conflict Management part that ensures further team efficacy of GTZ Bangladesh. Moreover, according to the Tuckman’s Group Development Model- Forming, Storming, Norming, and Performing stages for GTZ Dhaka Team have been extensively explored in this study. This part also advocates the ‘how’ and ‘why’ factors (followed by the discussion of GTZ Team Effectiveness Models) of the team efficacy of GTZ Dhaka. In fine, at long last, a Team Effectiveness Cell (TEC) for GTZ Dhaka has been recommended to accumulate and monitor all the scattered team effectiveness factors for further team efficacy designs of GTZ Dhaka in the long run. Bangladesh is a priority partner country for German Development Cooperation; cooperation between the two countries began more than three decades ago.1 Right from the beginning, GTZ BD also realized that Technical cooperation concentrates largely on the Bangladeshi economy and social structure which, despite unfavorable framework conditions and problems, give hope for the long-term development of the country and an improvement in the economic situation for large parts of the population. In this context, Effective Management of GTZ Dhaka has always been a priority of GTZ Bangladesh, to achieve its ultimate goal of being more productive and effective. As a part of this Effective Management, analyzing Team Effectiveness factors of GTZ Dhaka is very relevant and reasoned, to this regard. Methodology for this study regarding “Analyzing Team Effectiveness (TE) as a part of Effective Team Management of GTZ Dhaka” reveals the entire process is followed for the completion of the study successfully. This study has been carried out in several steps. Data Collection: Data /information from primary and secondary sources are considered useful to evaluate the total research regarding “Analyzing Team Effectiveness (TE) as a part of Effective Team Management of GTZ Dhaka”. Data Analysis: The collected information from primary and secondary sources is analyzed in substantial qualitative means and is presented in report forms. Findings from the forums have been critically evaluated to formulate Team Effectiveness (TE) settings as a part of Effective Team Management of GTZ Dhaka. To explore the areas of Team Effectiveness (TE) as a part of Effective Team Management of GTZ Dhaka, within a given German corporate culture setting- The research design has kept as qualitative and exploratory focusing upon „why‟ and „how‟ factors. The current study has ambled along reviewing qualitative approaches e.g. discussions with employees and management, in depth sessions, focus groups and case studies of several teams with a view to framing built-in GTZ models of Team Effectiveness (TE). Thus this current research is more like involving detailed, verbal descriptions of characteristics, cases, settings, people and systems obtained by interacting with, informally interviewing and observing the subjects and factors concerned, inside the GTZ Office Dhaka. The report only focuses upon the team effectiveness existing factors of the managerialcum administrative teams of GTZ Dhaka Country Office, as a part of Effective Team Management of GTZ Bangladesh. The whole paper is within the theme/view of the German organizational/managerial culture while evaluating Team Effectiveness contexts and situations. The Qualitative Analysis of Team Effectiveness (TE) as a part of Effective Team Management of GTZ Dhaka has been substantially valued, while at times the quantitative models has been mentioned to advocate the qualitative points only, but not to quantify itself. Team Effectiveness issues of GTZ Dhaka have been explored only in line with the aforementioned objective areas, under the given circumstances. With the general growth of Team Effectiveness works in many academic fields, it is hardly surprising that the factors and models of Team Effectiveness have attracted considerable attention in recent years. In an attempt to go beyond the why and wherefore of Team efficacy, studies have focused on anything from different aspects of situation analysis to team performance and capacity development. While some research has focused only on the description of effective team building process, other work has sought to show how team cohesiveness ensures team productivity. Accordingly, Hubert (2004) explored the idea that teams consisting of members who, on average, demonstrate greater mastery of relevant teamwork knowledge will demonstrate greater task proficiency and observed teamwork effectiveness. Nevertheless, leaving more room for learning efficacy, Stevens (2002) has argued for the Team Effectiveness trainings. Some studies, however, have taken a different approach by looking not so much at trainings, rather at team spirit and values. In World Class Teams: Working Across Borders, Brawley, McDermott and Waite’s (1998) advocated shaping the raw material (talent) to make a team and considering the dynamics of team membership. How do we choose members? What roles do we intend for them to play? What competencies do we need at the outset, and which ones can be developed later? How do we keep them working together toward a common purpose, vice a personal one? The book gives a listing of basic team competencies, addresses team roles & processes, and discusses who should be involved in team selection. 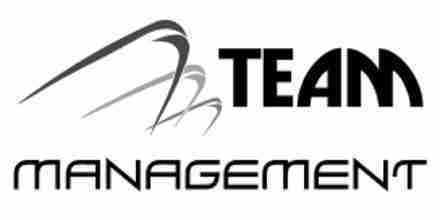 For the current study of Analyzing Team Effectiveness (TE) as a part of Effective Team Management of GTZ Dhaka; factors, parameters and models from relevant such parallel studies have been utilized. As an international cooperation enterprise for sustainable development with worldwide operations, the federally owned Deutsche Gesellschaft für Technische Zusammenarbeit (GTZ) GmbH supports the German Government in achieving its development-policy objectives. It provides viable, forward-looking solutions for political, economic, ecological and social development in a globalised world. On behalf of the German Ministry of Economic Cooperation and Development (BMZ), GTZ-Bangladesh (GTZ BD) provides technical cooperation to several priority areas of Bangladesh. The Deutsche Gesellschaft für Technische Zusammenarbeit (German Technical Cooperation) or GTZ is a private international enterprise founded in 1975 by Erhard Eppler who is a former German Minister for International Development and a well known public intellectual and social democratic thinker.2 GTZ is owned by the German Federal Government, specializing in technical cooperation for sustainable development with worldwide operation. It primarily works for public sector organizations and is headquartered in Eschborn, Germany. GTZ has operations in more than 130 countries in Africa, Asia, Latin America, the Mediterranean and Middle Eastern regions, as well as in Europe, Caucasus and Central Asia. It maintains its own offices in 87 countries. The company employs nearly 13,000 staffs, almost 10,000 of whom are national personnel. After the independence of Bangladesh in 1971, Germany was one of the first 4 European countries to officially recognize Bangladesh in 1972 and instigate development and technical cooperation to help the country sprout fine. Since then, Bangladesh is a priority partner country of German Technical Cooperation (GTZ). The main problems in Bangladesh are scarce resources, natural disasters, a rigid and to some extent arbitrary bureaucracy, over-population and the poverty which this causes. Around 50 percent of the population lives below the poverty line. Working under difficult conditions, GTZ BD promotes complex reforms and change processes, while its corporate objective is to improve peoples’ living conditions on a sustainable basis across Bangladesh. GTZ BD aims increasingly to use local know-how and local experts. In preparing and implementing project contributions, high priority is given to participation. Apart from the aforesaid generalized objectives, the annual objectives are revised each year based on miscellaneous necessities of Bangladesh. To implement commissions for the German federal government and other national and international, public and private-sector clients. To support political, economic, ecological and social development worldwide, and so improve peoples’ living conditions. There are no ready-made sustainable solutions to complex development issues. GTZ understands sustainable development as a constant process of negotiation and learning. In its work GTZ uses a combination of advisory services, such as policy, technical and organizational advice. It works at government level as well as with associations, industry, local populations and international donors. GTZ observes the principles of good governance and operate according to internationally recognized fundamental values, such as respect for human rights. The core competency of GTZ BD is capacity development. According to GTZ, capacity is the ability of people, organizations and societies to shape development on a sustainable basis. This entails identifying problems and then developing and successfully implementing strategies to reach solutions. GTZ promotes capacity development at individual, organizational and societal level so that the partners are able to articulate, negotiate and implement their own concepts of sustainable development. In doing so, it often assumes the role of facilitator between state and society and of mediator in societal conflicts of interest. Wherever possible and appropriate, GTZ involves the private sector. Capacity development, empowering partners, promoting potentials are its guiding principle for holistic competency development, which GTZ regards as the key to sustainable development. GTZ takes on tasks in the field of international cooperation and performs them in line with its concept of sustainable development. GTZ helps realize this concept with its holistic, value-based and process-oriented approach, which ensures the participation of all stakeholders. It takes account of economic, social and environmental issues in its work and supports the partners when it comes to negotiating solutions in the broader social context. With the wide spectrum of its services, the most important of which is capacity development, GTZ translates sustainable development into practice. GTZ advises government on mainstreaming their goals and change processes in laws and strategies, and implementing these country-wide. Otherwise changes remain isolated occurrences, and fail to generate results beyond the short term. GTZ’s services cover a range of areas, including economic development, employment promotion, governance and democracy, health, basic education, environmental protection, resource conservation, agriculture, fishing and food. In all these fields GTZ helps enhance the performance capabilities of individuals and organizations. Government advisory services have a high priority in GTZ’s work. Where acute need is jeopardizing human survival, GTZ responds with emergency aid and refugee programs. The Rural Infrastructure Improvement Projects I & II (RIIP I & II) are large-scale projects of the Local Government Engineering Department (LGED) in 39 of Bangladesh’s 64 districts, which are working to reduce rural poverty by constructing and upgrading roads, building bridges and culverts, planting trees along roads, improving growth centers, rural markets and boat landing sites, and constructing flood shelters, submersible roads, and union parishad complexes. RIIP I, which got underway in February 2004, is a joint effort of LGED, Asian Development Bank (ADB), and German development cooperation through KfW Entwicklungs bank and GTZ in 16 districts of two southwestern divisions of Bangladesh: Barisal and Khulna. RIIP II began in 2006 and is working in 23 districts of the Dhaka, Rajshahi, and Chittagong divisions; it is also collaboration between LGED, ADB, KfW and GTZ. Only one out of three Bangladeshis lives in a city. Although this ratio is comparatively low, Bangladesh has one of the fastest urbanization rates in the world, with hundreds of thousands of new urban dwellers every year. The capital Dhaka, with around 14 million people, is one of the ten largest megacities in the world; its slum population has doubled in the last decade, from 1.5 to 3.4 million people, but still migration focuses on Dhaka, as the smaller cities do not provide the same economic opportunities. The Second Urban Governance and Infrastructure Improvement (Sector) Project (UGIIP 2), a project of the Local Government and Engineering Department, jointly funded by the Bangladesh Government and pourashavas (secondary cities), Asian Development Bank, and the German Government through KfW requires pourashavas to meet certain governance improvement criteria in order to access funds for infrastructure development. These criteria include: participation of women and the poor, financial accountability, administrative transparency, and participatory planning through the set up and use of pourashava development plans (PDPs). The wide gap between formal rights and the everyday reality of women’s lives is not only an abuse of fundamental human rights and democratic principles, but also a major cause of the disproportionate number of women living in extreme poverty. German development cooperation through GTZ, with additional support from DFID and Danida, is actively addressing the legal obstacles that women face in Bangladesh. At the local level, the project Promotion of Legal and Social Empowerment of Women is offering gender training to shalishes and supporting Alternative Dispute Resolution Committees. Although women are the most frequent victims of crime in Bangladesh, including widespread domestic violence and human trafficking, they virtually never approach the police for help, because they do not trust them. One very promising strategy to build trust between women and the police is that of gender sensitive community based policing. Community based policing brings the community and the police together in a partnership in order to identify and resolve problems, establish security at the local level, and, above all, prevent crime. The Royal Netherlands Embassy is now providing €2.4 million to fund the GTZ-supported initiative to design and implement innovative gender responsive community based policing measures. The German-Bangladeshi cooperation has just embarked on a new project to reform the practice of “safe custody” – the imprisonment of women and children in order to “protect” them, while in fact violating their basic rights and exposing them to new threats within prisons. Although Bangladesh has one of the lowest prison populations in the world, its prisons are hopelessly overcrowded because there is no effective mechanism for getting people out of jail. The project will be piloting the use of paralegals within the prisons to act as a link in the criminal justice chain, drawing the attention of lawyers and the courts to people who have overstayed their term or might be released on bail or are otherwise being held unnecessarily. The readymade garment (RMG) industry is one of the core sectors of Bangladesh’s economy and the major driver of economic development in Bangladesh. It accounts for 75% of total export volume and 10% of the country’s GDP. More than 4000 companies are active in this sector, employing an estimated three million people, two million of them women. Contrary to all expectations, the Bangladesh RMG industry has so far been able to withstand international competition and has recently exhibited growth rates of 15% to 20%. There is no escaping the fact, however, that international competition is increasing. PROGRESS supports a multi-level and multi-stakeholder approach, cooperating with local suppliers, international buyers, government, non-government organizations, and unions in order to foster market compatible instruments such as social and environmental standards that have rapid effects in markets and work places. Moreover, PROGRESS helps producers to improve production and eco-efficiency through skill development and promotion of innovation. The Multidisciplinary HIV/AIDS Program, supported by GTZ, is working to strengthen city corporation public health departments in Sylhet, Khulna, Chittagong, and Rajshahi, so they can better prevent and respond to the spread of infectious diseases including AIDS. The program, in conjunction with Family Health International, is introducing a comprehensive quality assurance system to improve health services in these four cities, working closely with the health departments and medical staff of the city corporations, NGOs, and health care providers – the first time such a system has been used by a public health system in Bangladesh. The Health, Nutrition, and Population Sector Program (HNPSP) was designed by the Government of Bangladesh and is the largest sector-wide approach in the world. The HNPSP aims to align, harmonize, and coordinate the inputs of all stakeholders to the health, nutrition, and population sectors under one sector planning, implementation, and monitoring framework. The Government of Germany is supporting the HNPSP by bringing into play both Technical Cooperation (GTZ) & Financial Cooperation (KfW). GTZ assistance to the HNPSP includes capacity development of the Monitoring & Evaluation Unit of the Ministry of Health and Family Welfare (MoH&FW) to enable it to assume full responsibility for HNPSP program monitoring. The Government of Bangladesh is working to provide more energy to its people, in order to accelerate economic growth, poverty reduction, and social development. German development cooperation is supporting these efforts through GTZ and KfW. Renewable energy and energy efficiency is a priority area of Bangladeshi-German development cooperation. The Program Sustainable Energy for Development (SED) is deeply involved with Bangladesh’s effort to provide more and reliable energy to its people through the efficient use of energy and the dissemination of renewable energy technologies. On the one hand, it is working to increase the use of energy efficient appliances and production processes by industry, government, and private households; on the other hand, the program is actively supporting, among others, the dissemination of biogas digesters, improved cooking stoves, and technologies utilizing solar energy in the rural areas. Team effectiveness refers to the system of getting people in a company or institution to work together effectively, so does at GTZ Bangladesh. The unanimous idea behind team effectiveness of GTZ is that a group of people working together can achieve much more than if the individuals of the team were working on their own. General Administration Team: The General Administration Team provides support related with visa and other mandatory documentation procedures for international staff as well as guidance while settling down in Bangladesh regarding housing, shipment of personal belongings, vehicles and so on. The team also deals with import procedures and documentation for the GTZ Office and GTZ projects/programs. Among other functions, the team is in charge of the buildings maintenance and the security desk. Human Resource Team: Human Resource Team works closely with various issues concerning national personnel. Its function includes a variety of activities, and key among them is recruitment of national personnel, employment contract, remuneration, tax and social security contribution, and human resource development and evaluation. Activities also include setting standards and procedures for hiring new employees, maintaining employee records and implementing personnel policies. The HR Team’s overall objective is to effectively make use of the talents and abilities of employees to achieve the operational objectives of GTZ. Along with realizing the goals of the organization, Human Resource Team also seeks to ensure non-discriminatory practices in the workplace, given a German corporate culture. Contracts & Procurement Team: Contracts & Procurement Team facilitates the procurement of materials, equipment or services as per the principles of efficiency and economy, competition, equal treatment of all suppliers, and transparency and documentation of the entire process. It also complies with the relevant contracting rules. Travel & Events Team: Travel & Events Team assists the GTZ projects/programs with travel related issues like International or Domestic air ticket, Visas, Travel Insurance, Travel Claims etc. The team provides the projects with the Authorization Letter for Tax exemption, Recommendation Letter for Visa, Travel Insurance from HQ, calculation for the advance for any travel, Calculation for the reimbursement for travel claims etc. It also monitors the market price of Air Tickets and assures the GTZ projects the best possible price. Upgrading hotel lists with more facilities, negotiation with the hotels for the best rates and services, organizing GTZ events are also major functions of the Travel & Events Team. Finance & Accounts Team: The Finance & Accounts Team has among its main functions the costing of GTZ projects as well as cash accounts management and payments of GTZ Dhaka Office. Information Technology Team: The Information Technology Team at GTZ Office Dhaka works closely with GTZ Office Eschborn (GTZ Headquarters), local and foreign vendors, other teams and the global IT industry to ensure that information technology demands of GTZ Bangladesh are duly met. Equal rights: All team members work with each other without any distinction in terms of gender, skin color, religion, culture, education, social status or nationality. Compliance with contract and statute: All team members fulfill GTZ contractual agreements, respecting the laws in Germany and in Bangladesh. Transparency: All team members make sure that their actions and motives are clear and comprehensible. Loyalty: All team members are loyal to the company. This also means providing constructive criticism, which they express in an appropriate manner and openly within GTZ. Confidentiality: All team members handle all GTZ information confidentially whenever its nature requires discretion or if explicitly requested. Cooperation in partnership: All team members work together with GTZ national partners, project partners and target groups in a fair and reliable manner based on mutual trust. This also applies to the behavior with colleagues. Constructive conflict management is an important part of GTZ work. Client orientation: Client satisfaction is the yardstick for the quality of team members‟ work. Employee orientation: GTZ Dhaka promotes its employees‟ development. The quality of their work guarantees the success of the company. Results orientation: All team members‟ actions are geared to achieving sustainable and verifiable impacts. Efficiency: All teams‟ operations aim to achieve maximum cost-effectiveness. Flexibility: All teams use flexible structures and processes which they match to the demands on hand. Responsibility and Accountability: All team members‟ decision-making is located next to the operational level and oriented to common corporate interests. Holistic Approach of GTZ: GTZ Dhaka team members work with many different stakeholders and lock in at the most appropriate point for sustainable development, that is, where there is a will to change whenever needed, both inside and outside the GTZ Office. Value-oriented Approach of GTZ: GTZ Dhaka believes that diverse interests can be reconciled most effectively and fairly in democratic societies, under the rule of law and with a social and ecological market economy. That is why GTZ Teamwork is guided above all by the principles of good governance, participation, transparency and accountability and fundamental internationally accepted values such as respect for human rights. Project Progress Review –The PPR Model of GTZ: The PPR helps steer the evaluated development and the learning processes both in the GTZ projects and throughout the GTZ Dhaka Office. The officer responsible for the contract and cooperation is responsible for the PPR. In all development measures of GTZ, a PPR is carried out when planning a new phase. In addition, a PPR can be carried out at any other time as required at GTZ Office. In justified cases, the decision to carry out a PPR may be taken solely by the superior, who then assumes responsibility. If the officers responsible for contracts and cooperation do not intend to conduct a PPR, they provide written reasons for this to their superior. The superior then decides and documents the decision. Assessing the current health of GTZ offering means to balance its priorities, allocate resources and generate realistic plans. The EFQM Excellence Model is a framework based on nine criteria. Five of these are ‘enablers’ and four are ‘results’. The ‘enabler’ criteria cover what GTZ does. The ‘results’ criteria cover what GTZ achieves. ‘Results’ are caused by ‘enablers’ and feedback from ‘results’ help to improve ‘enablers’, hence the overall Team Effectiveness of GTZ Dhaka. Staff Assessment and Development Talk Approach of GTZ: GTZ Managers hold a staff assessment and development talk once a year during a set period; the procedure is the same both at Head Office and in Bangladesh. In this meeting, managers give team members feedback on their overall performance and determine how far the goals agreed in the previous staff assessment and development talk have been reached. On this basis, the manager decides directly on the development of the basic remuneration of their staff and on the variable remuneration tied to the achievement of goals. Team members may choose not to agree goals and thus opt out of the variable remuneration component. FWAC & PWG: 4-eye Principle & 2-man rule of GTZ: To shorten the lengthy procedure of procuring goods and services, The Framework Agreement Committee (FWAC) reduces the excessive workload for both GTZ Office & Projects and save time as well. The Contracting, Procurement and Logistics Team of GTZ Dhaka in cooperation with the responsible units issues out invitations to tender for the purpose of entering into framework agreements with national and international appraisers. These framework agreements set the conditions and fees for appraiser contracts. It functions to work with the best service providers and vendors and to get the quality goods and services from enlisted vendors with competitive price. Another Pricing Work Group (PWG) has been formed to monitor and keep follow up with the concerned departments for any changes needed or actions needs to be taken regarding Frame Work Agreements. To effectively deal with all applications and for a credible enlistment, GTZ Dhaka FWAC and PWG follow the effective 4-eye Principle & 2-man rule. The two-man rule is a control mechanism of GTZ designed to achieve a high level of security for especially critical material or operations. Under this rule all access and actions requires the presence of two authorized people at all times, constantly monitored by their 4-eyes to ensure the optimum team effectiveness of FWAC and PWG. Bottom-up Feedback Model of GTZ: To ensure further Team Effectiveness, GTZ offers the opportunity to the personnel for a Bottom up Feedback about their respective supervisors and managers. GTZ Dhaka highly appreciates its staff’s willingness to give feedback. GTZ is also happy to receive any positive feedback they might wish to give and that any critical feedback is be given due attention. This not only ensures the Team Effectiveness, but also encourages Team Leadership of the GTZ supervisors. The Right Mix Model of GTZ: Team effectiveness depends in part on bringing together people who have different skills that somehow complement each other, ensuring the right mix of skills. This can mean different technical abilities or communication skills. GTZ believes teaming up people who share the exact same characteristics is often a recipe for disaster. These two factors help keep GTZ Dhaka Team together as a cohesive unit. One is a sense of being connected to others based on emotional satisfaction like the way people feel connected to family and friends, hence GTZ Dhaka has formed its own family here. Another is the sense of being connected to other team members based on the shared need of GTZ to get the job done eventually. GTZ Dhaka focuses upon acknowledging and equally supporting every team member’s contributions as well as frequently reinforcing the message that team members need each other to get the job done. Conflict Management of GTZ Dhaka Team: All the steps and activities described for GTZ Dhaka Team Cohesiveness aim at getting to know each other and GTZ better and building a fruitful environment for team work. The events attracted great interest and also helped tackle conflictive, difficult issues in an informal way. The roof top café and cultural activities are highly appreciated: they give all GTZ staff the chance to meet with colleagues and to exchange information other than just everyday work issues. Conflict can be an inevitable consequence of working with other people. Opinions, values, styles, and a whole host of other differences provide more than enough grounds for disagreement. In GTZ teamwork, conflicts can arise between personal interests and GTZ’s corporate interests or those of business partners, project partners and target groups. GTZ Dhaka team members immediately disclose such conflicts of interests to their superior and resolve them in a manner that is verifiable by and understandable to all parties involved. No doubt, the prevailing factors contributing to the Team Effectiveness of GTZ Dhaka are quite robust as experienced in close coordination with GTZ teams. All these factors and models are scattered around the built-in administration systems by design, and yet to be accumulated under one umbrella, given a German Corporate Culture by default. It would be more effective and efficient if GTZ can bring all these existing factors contributing to the Team Effectiveness of GTZ Dhaka under one Team Effectiveness Cell (TEC) that will monitor the effectiveness of GTZ Dhaka separately on a recurring basis. GTZ Dhaka Team Effectiveness Cell (TEC) will directly collaborate with the GTZ functional teams and work under the Head of Administration. It will not only act as a care-taker of existing GTZ concepts but also research on designing new approaches compatible with the German Corporate Culture of GTZ Dhaka. While the federally owned Deutsche Gesellschaft für Technische Zusammenarbeit (GTZ) GmbH has operations in more than 130 countries, GTZ Dhaka is one of the Effective Teams in Asia region. In terms of Team effectiveness, GTZ Dhaka not only offers the sound setting but also acts as one of the role models for the rest of the chapters of GTZ across the globe, with due dignity.